Published: Feb. 20, 2015 at 12:23 p.m. 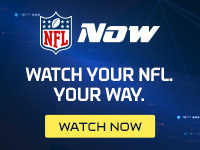 Updated: Feb. 20, 2015 at 01:08 p.m.
INDIANAPOLIS -- Last season at the NFL Scouting Combine, Carolina Panthers general manager Dave Gettleman spoke brusquely about veteran Steve Smith as a precursor to the receiver's eventual release. This year the GM was softer on an aging veteran who could be cut. On Thursday, Gettleman wouldn't discuss directly whether DeAngelo Williams would be on the team in 2015, but spoke positively about the Panthers' all-time leading rusher. "I spoke to DeAngelo. We had a great conversation. It's private, it's confidential. It's between us," Gettleman said. "DeAngelo had a tough season. He lost his mom who he was very close to. He dedicated the season to her, and he just couldn't stay healthy. And it was really hard for him. "Then he broke his hand against Minnesota. That's hard, especially when you're 32. A 32-year-old running back in the NFL. It was extremely difficult. But he finished the season like a pro's pro, and like a man. And I really respect DeAngelo for the way he finished it. We had our conversation and we'll probably continue, and that's where I'm going to leave it." Williams has long owned a bulky contract given by the previous administration. With Jonathan Stewart healthy and providing a strong, dynamic runner last year, it might finally be time for the Panthers to walk away from Williams.